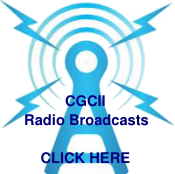 (Click Photos to Zoom)Over 1500 churches world-wide are affiliated with CGCII. Each country’s Christ Gospel affiliated organization is an independent legal entity run by local church leaders. All follow the ecclesiastical model of faith expressed by CGCII. 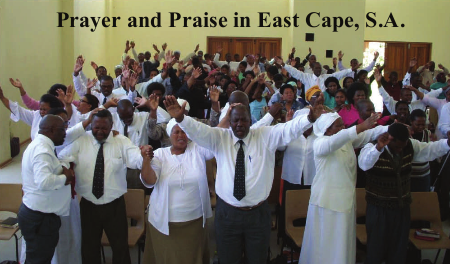 Christ Gospel affiliated churches around the world can be identified by their display of the charts of the Stature of Jesus Christ as shown in the Old Testament Tabernacle and the Three-fold Nature of Mankind, both of which provide important insights into spiritual and moral growth. 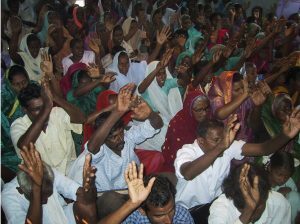 CGCII provides seed funds to many local affiliated churches world-wide for the development of Christian congregations, church buildings, and many charitable works, depending on local needs, including schools, orphanages, and feeding programs in Haiti, India, and Africa. 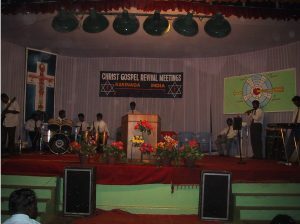 Here (right), Rev. 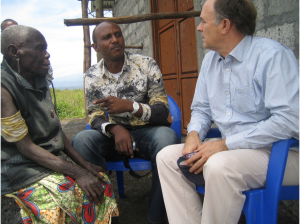 Johan Trengove meets with Rev. Jean Paul Aruna of Christ Gospel Church of Goma, DRC and an elderly Pygmy Church Member who has accepted JESUS. 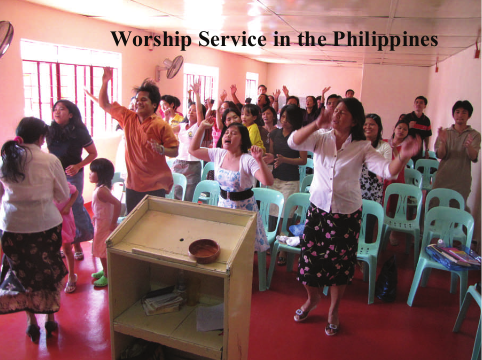 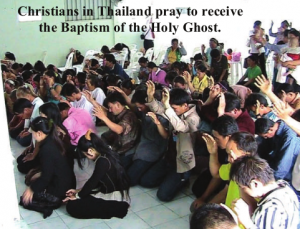 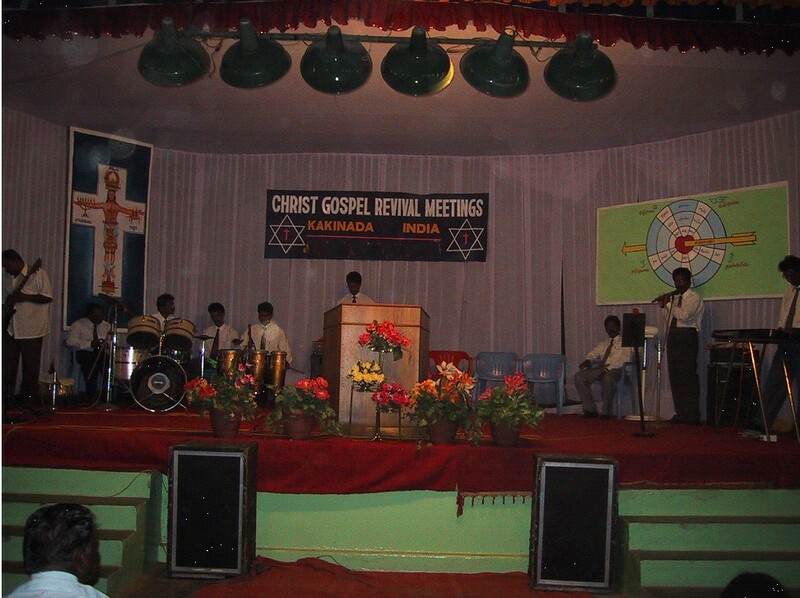 Christ Gospel meetings world-wide are filled with earnest prayer and fervent praise.